2018 Family Equality Council Gala--Night at the Pier @Pier 60. 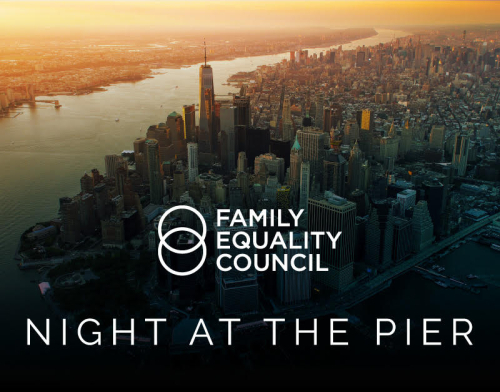 You are invited to join Family Equality Council for their 13th annual Night at the Pier gala. 2028 Honorees are Kate Couric & Dan Rudolph. 6:00 pm Reception 7:00 pm Dinner & Progam. Tickets $500 pp. Event Chairs: Luigi Caiolo, Bruce Cohen, Sam Lippitt and Primavera Salva.